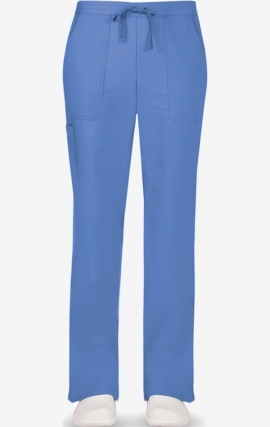 Healing Hands Purple Label Tiffany TALL pant features a wide comfort elastic waistband that stays secure. 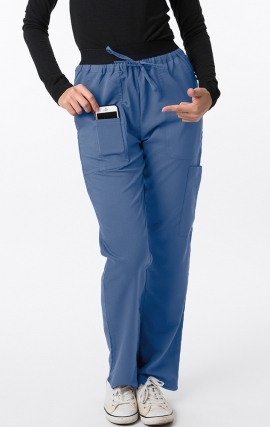 This straight leg scrub pant offers a classic fit that sits at the waist, with a dyed to match twill tape drawstring. 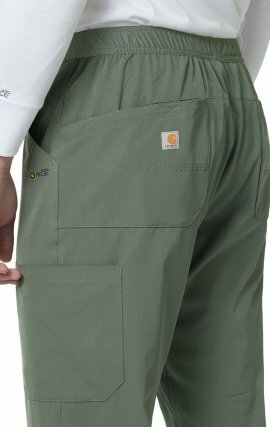 For storage, there are 2 front pockets, 1 cargo pocket and 1 back pocket. 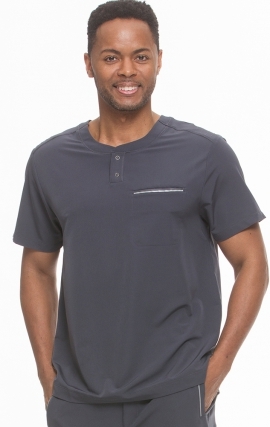 Side slits at the hem. 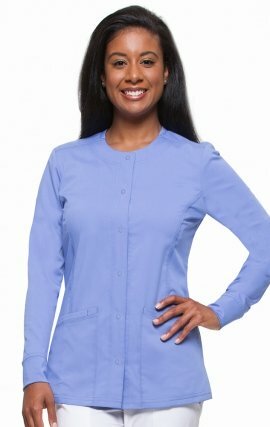 77/20/3 Poly/Rayon/Spandex. 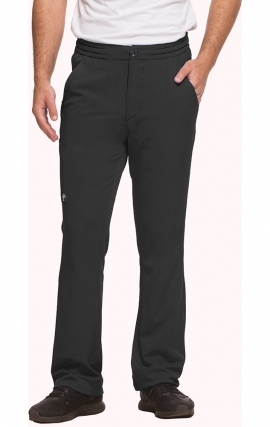 The inseam for Tall Length 33". 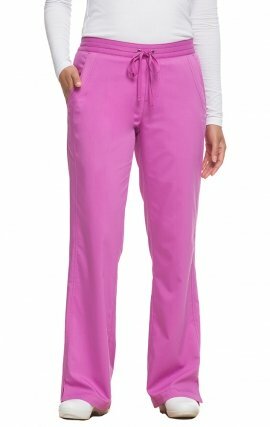 Healing Hands Purple Label Tiffany petite pant features a wide comfort elastic waistband that stays secure. 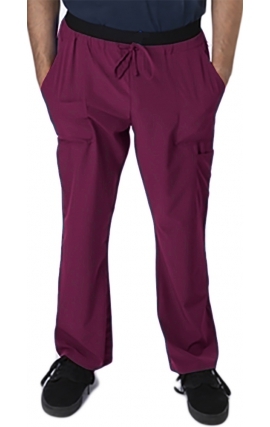 This straight leg scrub pant offers a classic fit that sits at the waist, with a dyed to match twill tape drawstring. 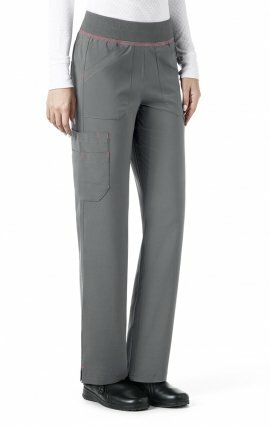 For storage, there are 2 front pockets, 1 cargo pocket and 1 back pocket. 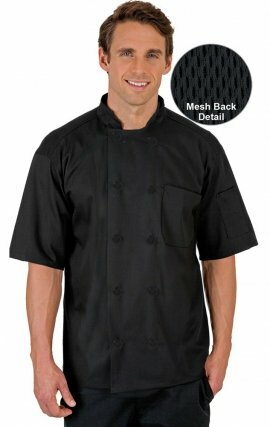 Side slits at the hem. 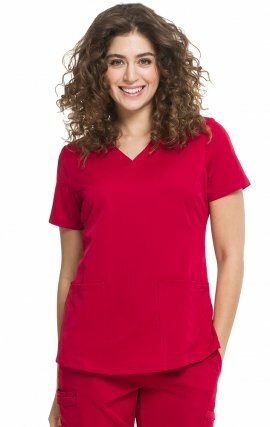 77/20/3 Poly/Rayon/Spandex. 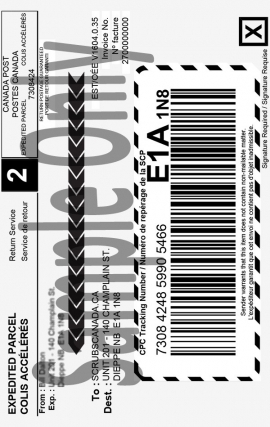 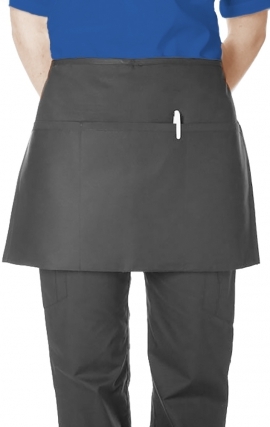 The inseam for Petite Length 28". 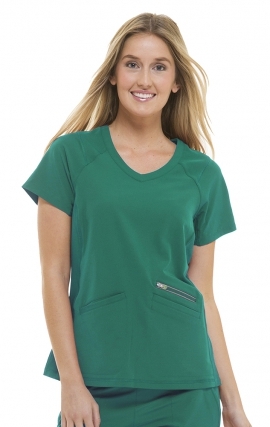 This women’s crew neck features a snap closure and large patch pockets in the front, as well as a handy cell phone pocket. 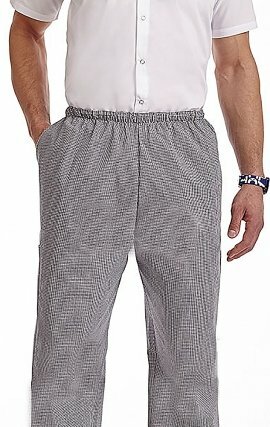 Side slits and soft knit cuffs complete the look. 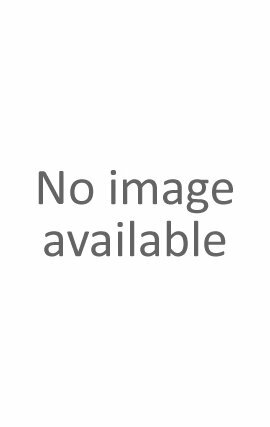 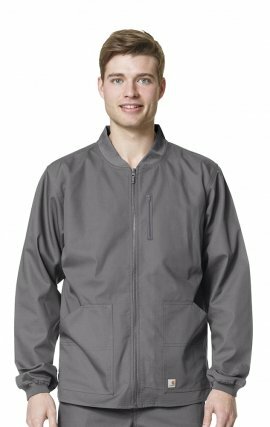 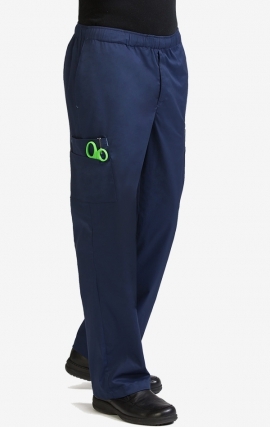 - Crew neck- 6-snap closure- 2 patch pockets, 1 cell phone pocket- Princess seams- 77% polyester, 20% rayon, 3% spandex- Medium center back length: 28"- Medium sleeve length: 24 1/4"
MC2® Men's 7 Pocket Cargo Pant made of 55% Cotton/42% Polyester/3% Spandex EZ Flex Stretch. 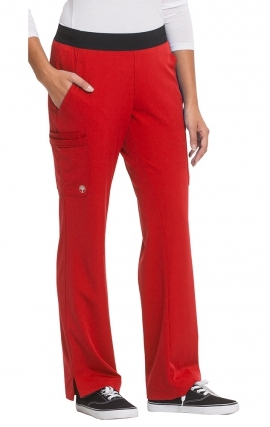 This is a roomy straight leg pant with full elastic waist, canvas drawstring and functional fly zipper. 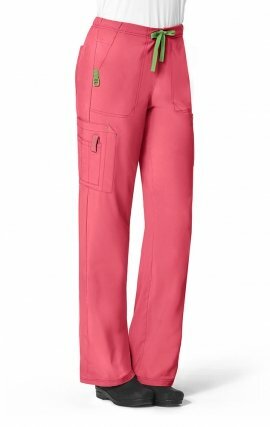 Side seam pockets, back pocket and double cargo pockets. 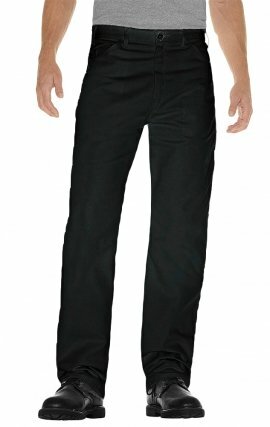 TALL length 33" inseam. 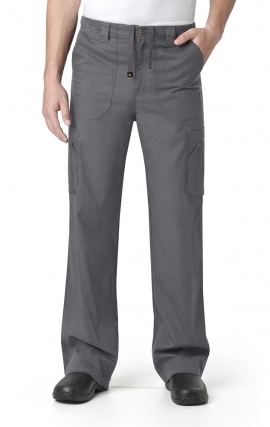 MC2® Men's 7 Pocket Cargo Pant made of 55% Cotton/42% Polyester/3% Spandex EZ Flex Stretch. 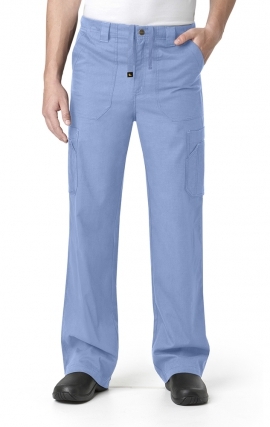 This is a roomy straight leg pant with full elastic waist, canvas drawstring and functional fly zipper. 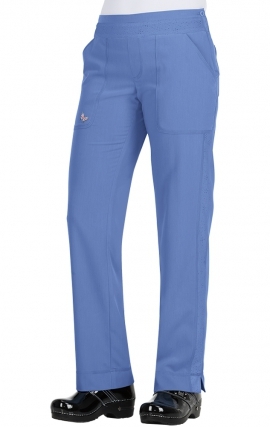 Side seam pockets, back pocket and double cargo pockets. 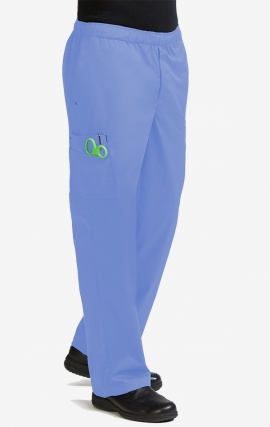 31" regular inseam. 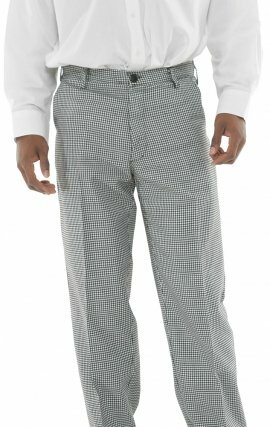 Also available TALL length 33" inseam. 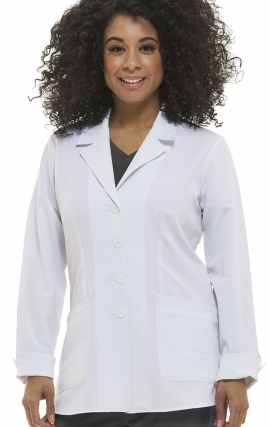 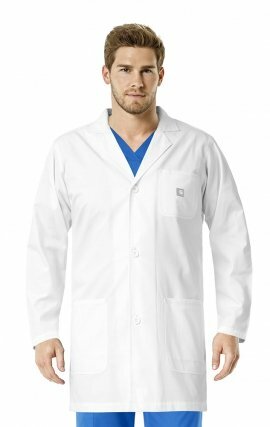 This fashionable lab coat from the Healing Hands Purple Label brand has a convenient two-button front, notched lapels, princess seaming for a feminine fit, and three roomy pockets for your essential accessories! 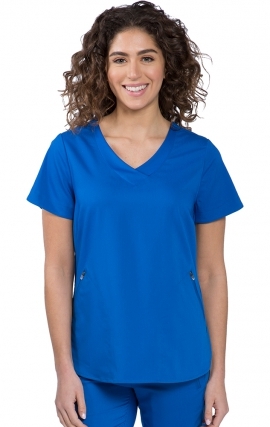 - V-neck- Three pockets- Medium Center Back Length 31 1/2"- 77% polyester/20% rayon/3% spandex- Medium sleeve length 24 3/4"
Healing Hands flattering Jane top features a "Y" shaped neckline and triple needle stitching on the neckline and pockets. 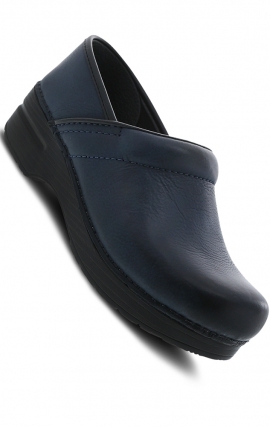 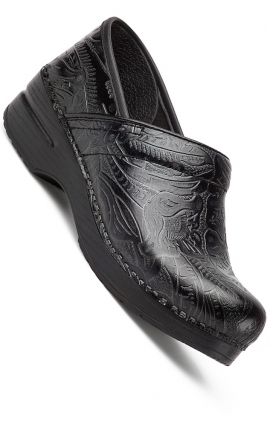 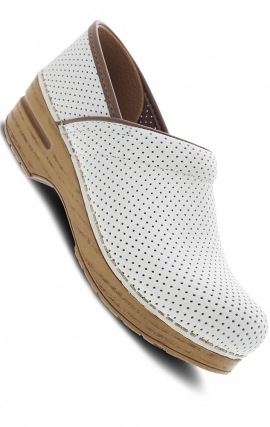 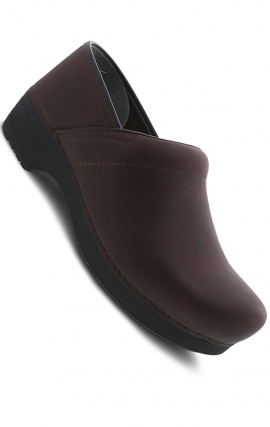 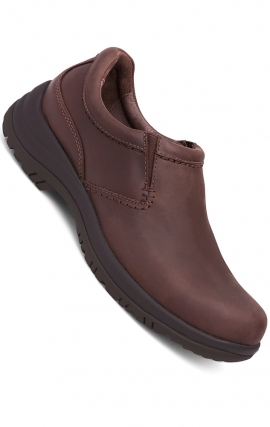 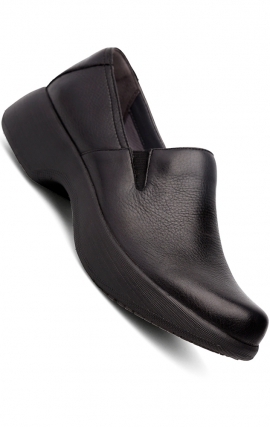 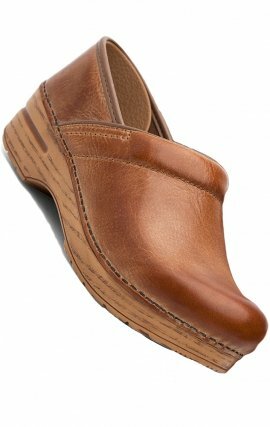 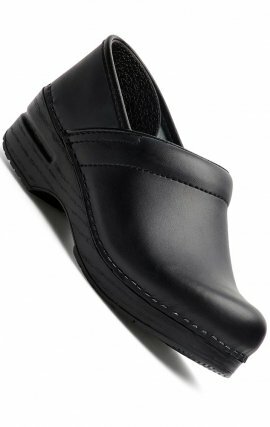 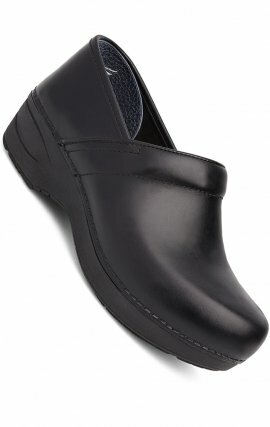 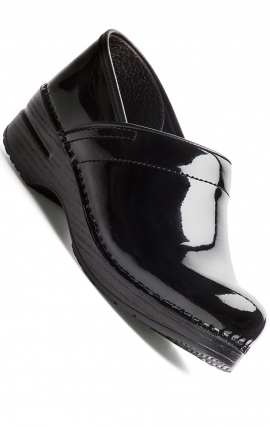 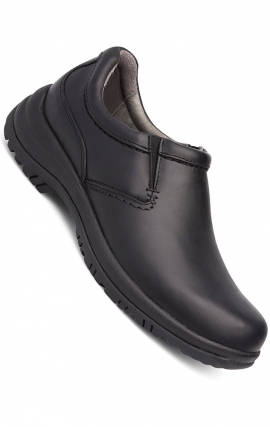 For a superior fit, there is front seam and side slits. 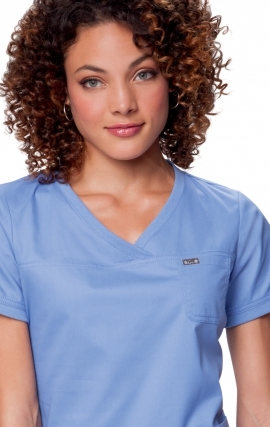 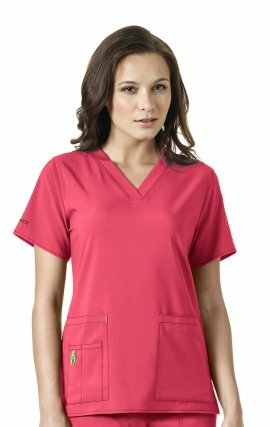 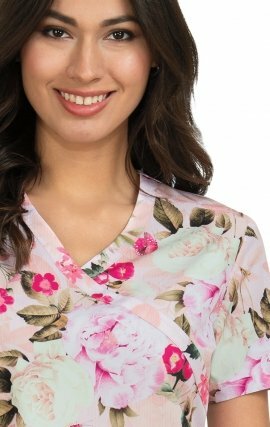 A shirt tail hem and a Healing Hands embroidery logo on left front pocket complete this Junior fit scrub top. 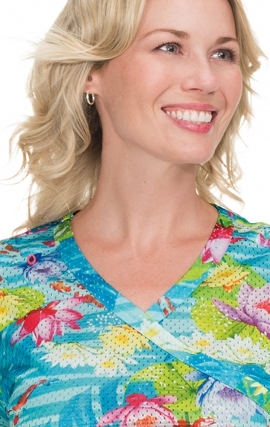 Fabric 77/20/3 poly/rayon/spandex. 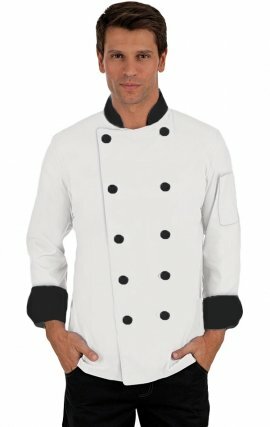 The length is 26". 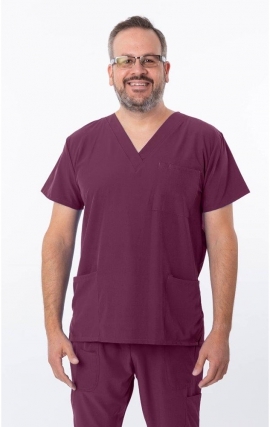 The Jaclyn scrub top from Healing Hands Purple Label has a mock crossover notch V-neck that adds style to the classic fit. 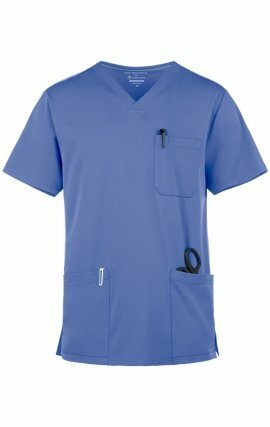 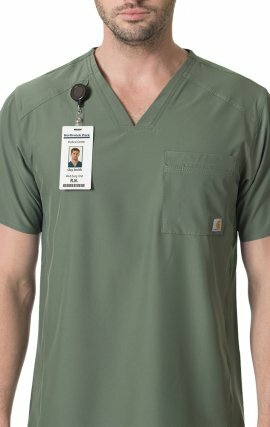 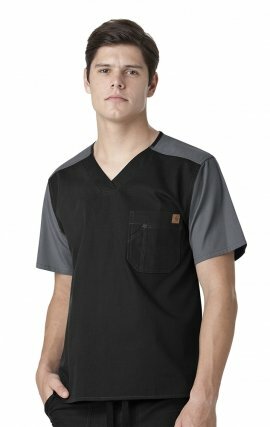 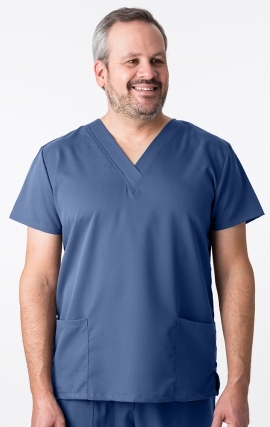 There are a total of 4 pockets, scrub top has two patch pockets with an additional cell phone pocket on the right hand side and a pencil pocket on the left. 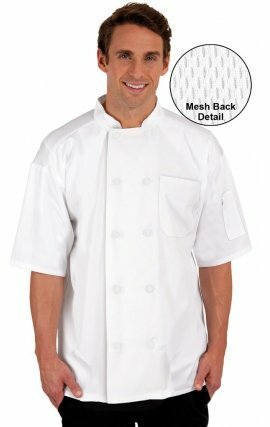 There are also bust darts and back seams and side slits. 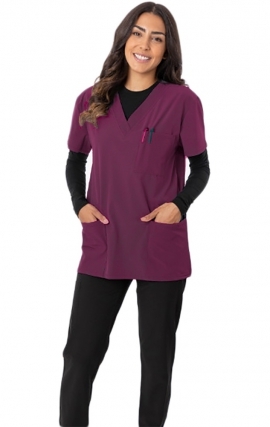 The fabric is a comfortable stretch 77% polyester/ 20% rayon/ 3% spandex. 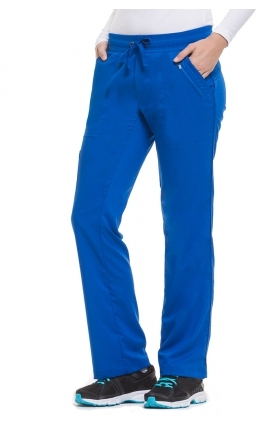 Length is 25.5". 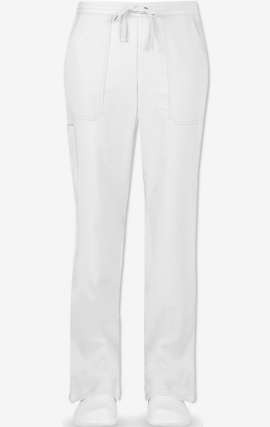 Combine a classic dress pant with the comfort of our MOBB chef pant and you get this flat-front White pant. 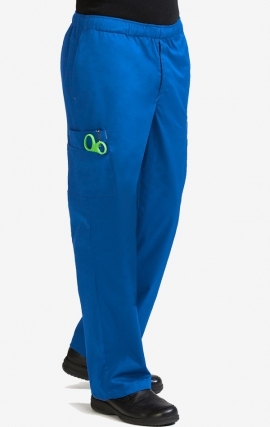 Featuring a plain waistband with belt loops and a full brass zipper fly with button closure. 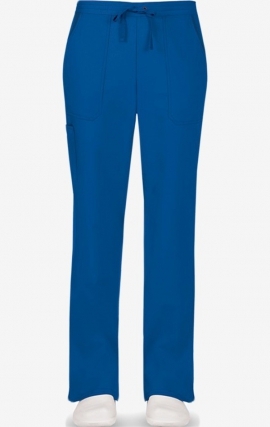 Tailored for a modern, professional look. 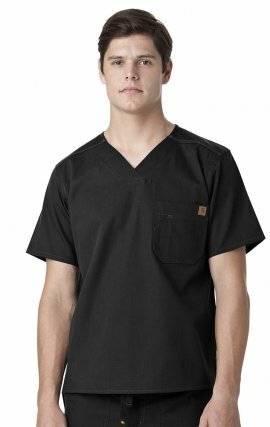 2 front slant pockets and 2 back patch pockets. 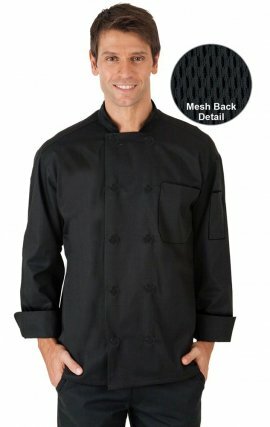 7.5oz poly/cotton. 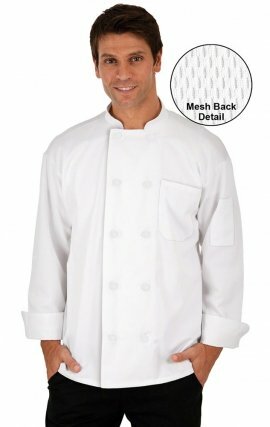 MOBB kitchen classics. 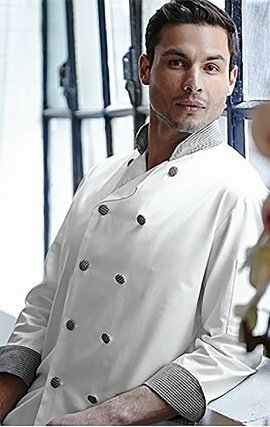 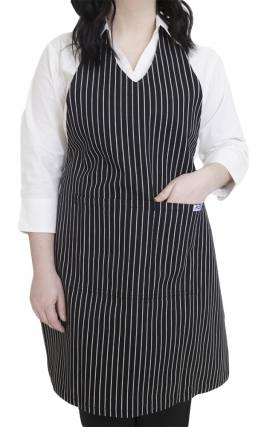 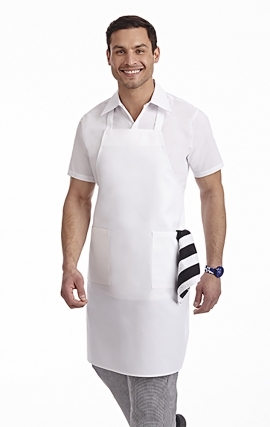 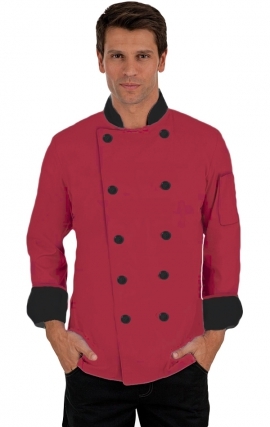 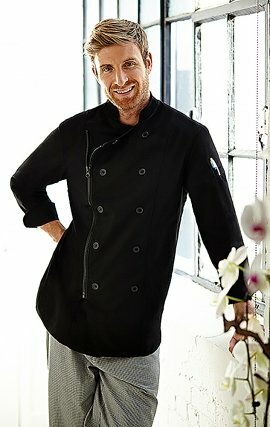 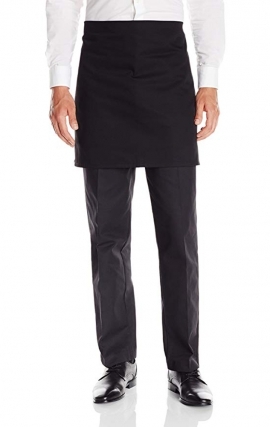 Professional and durable, our chef coats are made to last. 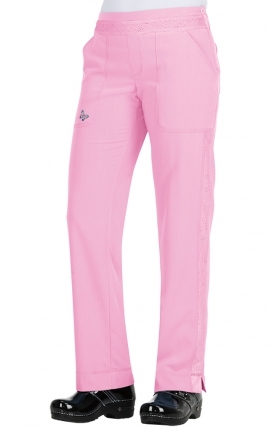 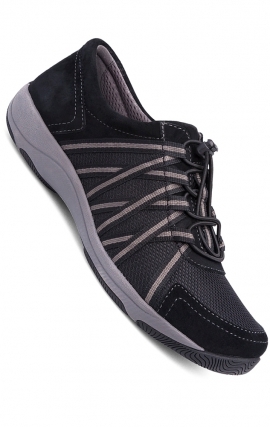 Lightweight, breathable designs and a great selection of colors to choose from. 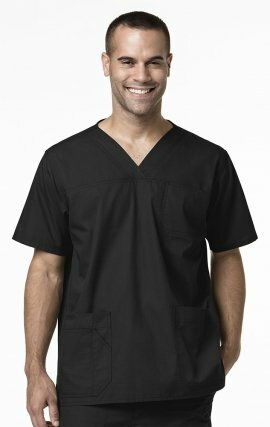 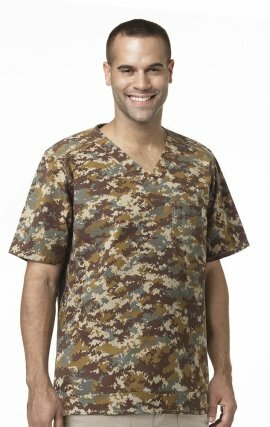 7.5oz poly cotton twill featuring a stand collar, vented cuff and underarms and a thermo pocket on left sleeve. 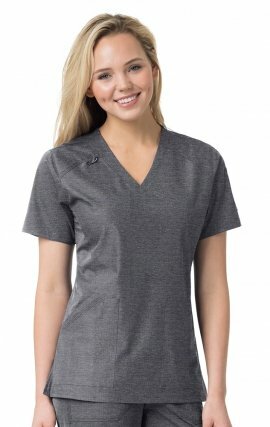 100% lightweight cotton lawnModern Classic Fit - Size: XXS - 3XL This lightweight feminine print top is a customer favorite. 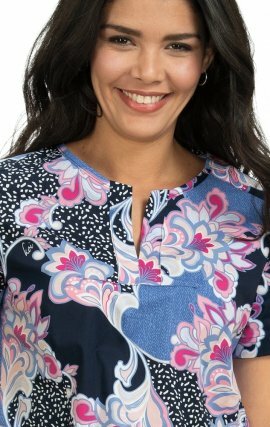 - Novelty front tie- Signature koi flower buttons- Contrast trim at neckline and sleeves- Two side pockets- Elastic inset at back- Length size Small: 28 1/2"
Split v-neck with faux pearl detail - Smocking detail at neck- Raglan sleeves- 2 patch pockets in front- Elastic inset at back- Side slits- Length size Small: 27"
Add some dazzle to your workday with the Koi Lite Bliss scrub top! 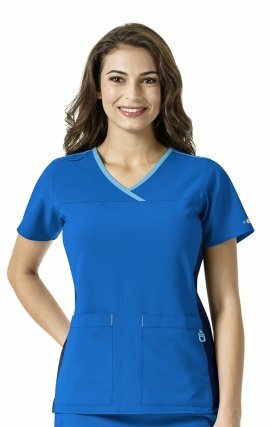 This fun top is made with lightweight, polyester mesh fabric to move with your throughout your active workday. 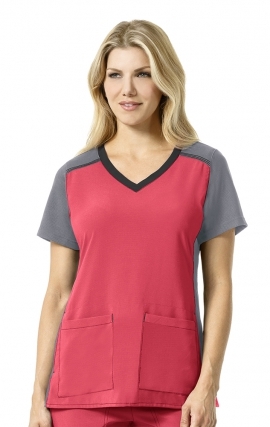 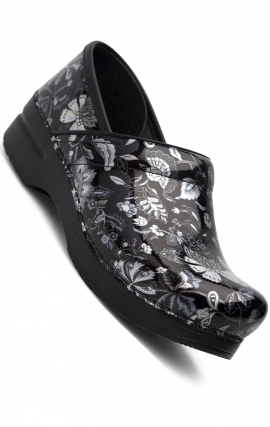 The crossover design will flatter your shape, while two roomy pockets make this top functional as well. 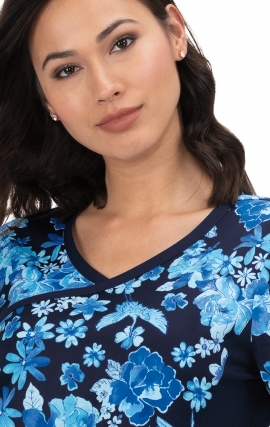 100% lightweight cotton lawnModern Classic Fit - Size: XXS - 3XLStyle: 129PR-BOP This lightweight feminine print top is a customer favorite. 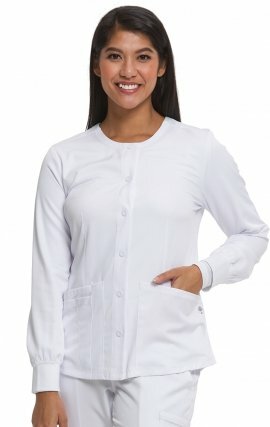 - Novelty front tie- Signature koi flower buttons- Contrast trim at neckline and sleeves- Two side pockets- Elastic inset at back- Length size Small: 28 1/2"
92% polyester 8% Spandex 4-way stretchStyle 352PR-RLL Our crossover top with unique criss-cross eyelet detail. 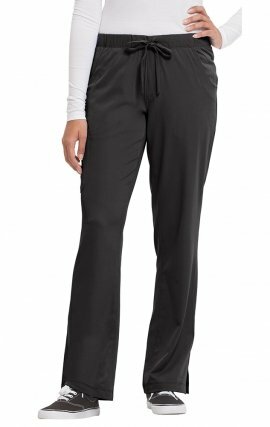 - Front yoke with mock-wrap neck- Front waist darts for shaping- Three front pockets- Easy care fade-resistant 4-way stretch fabric- Side slits- Length size Small: 27"